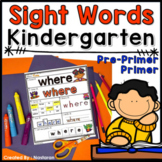 Pre Kindergarten Assessment- Black and White Version (Updated)- No Prep! I have created this assessment to be used in a Pre Kindergarten setting. This is an EDITABLE version so you can take out and add anything that you like. There is a section for religion as well which might come in handy for some. If you have any questions or need anything added please let me know! 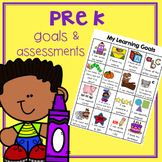 Get an early assessment on your pre-kindergarteners as they enter into the school year. Continue to assess throughout the school year to see growth in learning. Pre- Kindergarten assessment for literacy and math skills. This assessment is very parent friendly and can be used quarterly to show students growth at conferences. This resource was made to assist in benchmarking kinders on their early foundational skills for ELA and math. 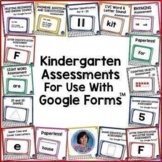 Included you will find 20+ assessments with 3 variations of each assessment. 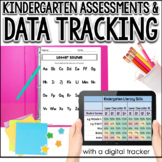 This allows you to benchmark your kinders in the fall, winter and spring to monitor their growth over the year. This is a writing rubric with 4 categories that can be used with Prekindergarten students. This rubric includes words and picture examples. 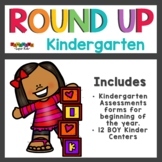 Kindergarten Assessment 1 by GBK - NEW! Basic math assessment to be used at beginning, middle and end of year. 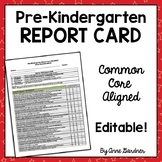 Developed with the Kindergarten Common Core Standards for Math in mind. Domains assessed on different pages. Set of number cards included that can be used to assess fine motor skills if you want to have the students cut apart.